Step out with a spring in your step this season! 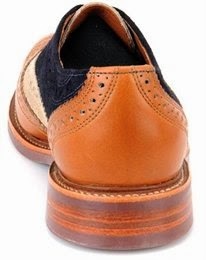 These Haverford Wingtips from Walk-Over are a refreshing take on a familiar silhouette that may make you do just that. 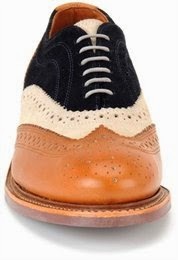 Complete with a Goodyear™ welt construction, full grain leather upper and Vibram® non-slip Elton sole, this shoe is a handsome reason to smile while completing a dapper head-to-toe look this Spring/Summer. The two color ways of bronze/burnt orange and burnt orange/white are available now at Walkover.com.